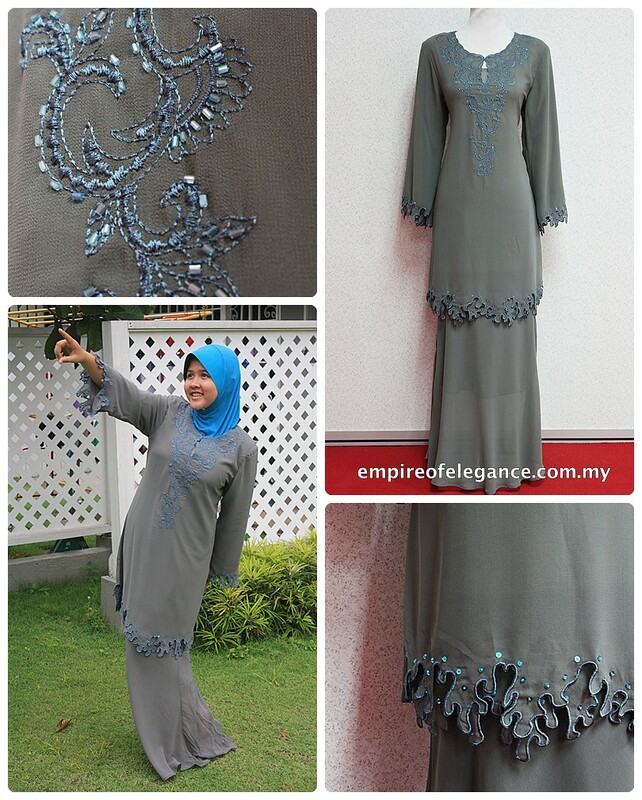 Kurung Moden Ariana is a grey modern baju kurung with beautiful embroidery on the neckline and fully lined. Made from chiffon, this soft and comfortable baju kurung is suitable for both casual and formal functions. 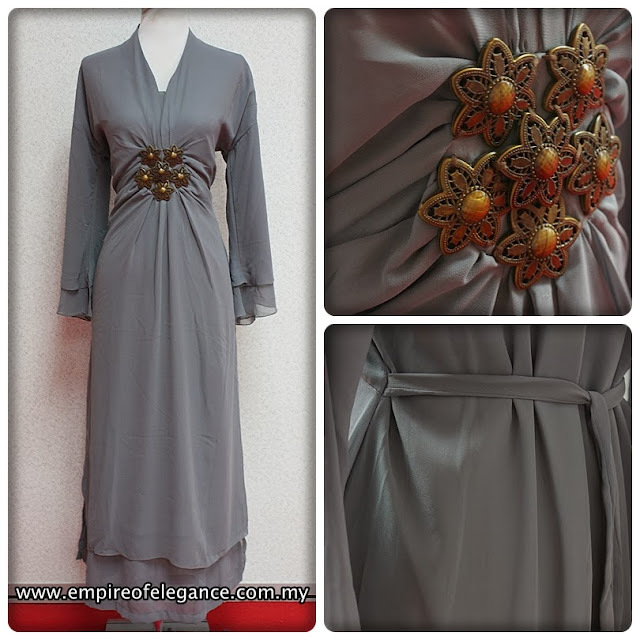 Suitable for any occasions, this grey kaftan is soft and drapes well - comfortable enough for pregnant mummy too! 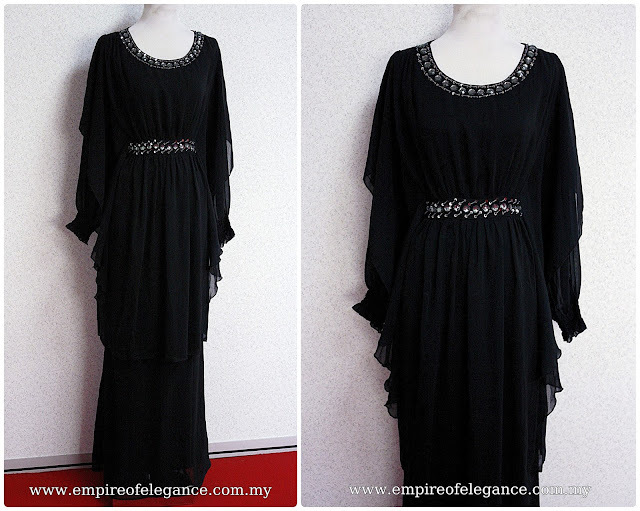 Kurung Moden Ramona in black is gorgeous and feminine. The flowy chiffon material is adorned with beautiful stones and beads. 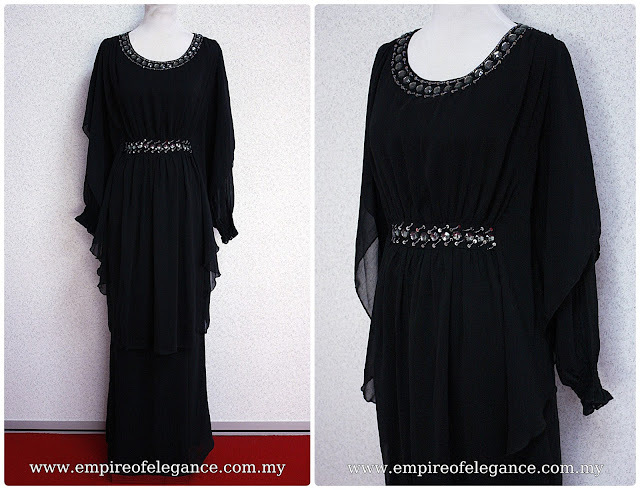 Kurung Moden Selasih features flounced sleeves and rich beads and sequins on the neckline. 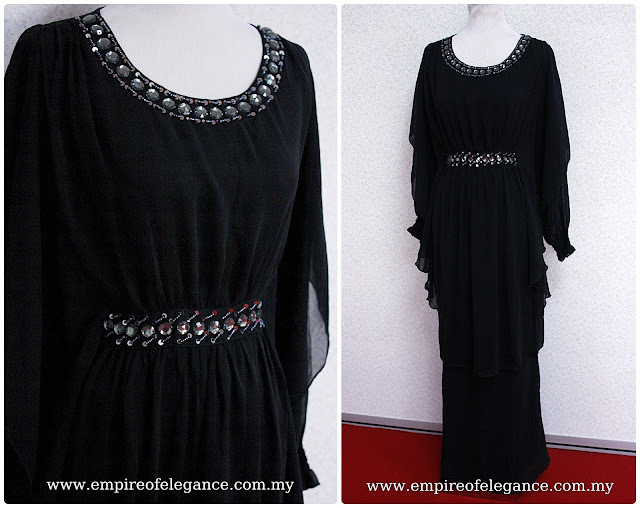 This modern baju kurung is available only in plus size. Kurung Moden Alanna is made from heavy, luxurious fabric with raised metallic gold threads design. Suitable for formal events, this maroon baju kurung has cutting at the waist for modern look.